Cyclamen hederifolium Fairy Rings strain was originally found in the garden of the great plantsman E. A. Bowles, who had a keen eye for a good plant. Although the autumn flowers appearing pink or white from late August to October are delightful and appear as if by magic from the soil, it is the later leaves that make this group stand out. 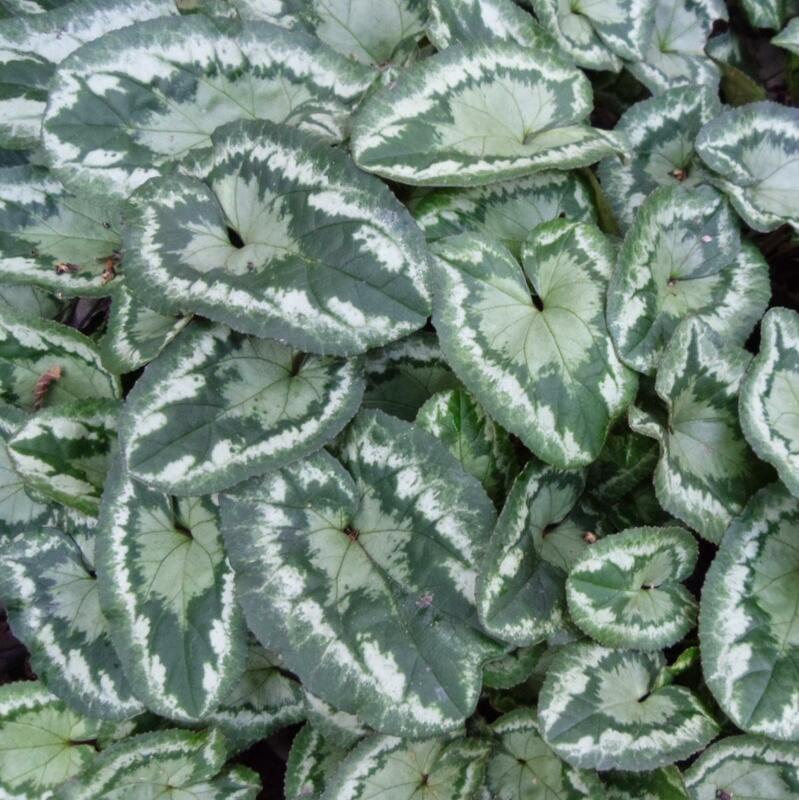 They have a double shield marked out with silver and grey, with young leaves that can have a pinkish edge as they emerge from the soil. 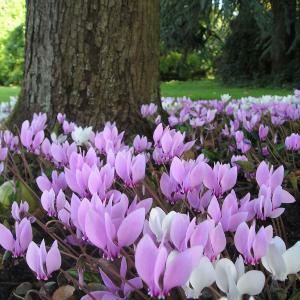 In the open garden, cyclamen prefer a position which is slightly shaded in summer, and moist during autumn through to late spring, so are ideal planted in deciduous woodland, or beneath deciduous shrubs. Although Cyclamen hederifolium Fairy Rings is tolerant of sunny sites, they also do well along north-facing walls or hedge banks, in stone troughs and in the rock garden. They look superb when planted beneath silver birch trees. 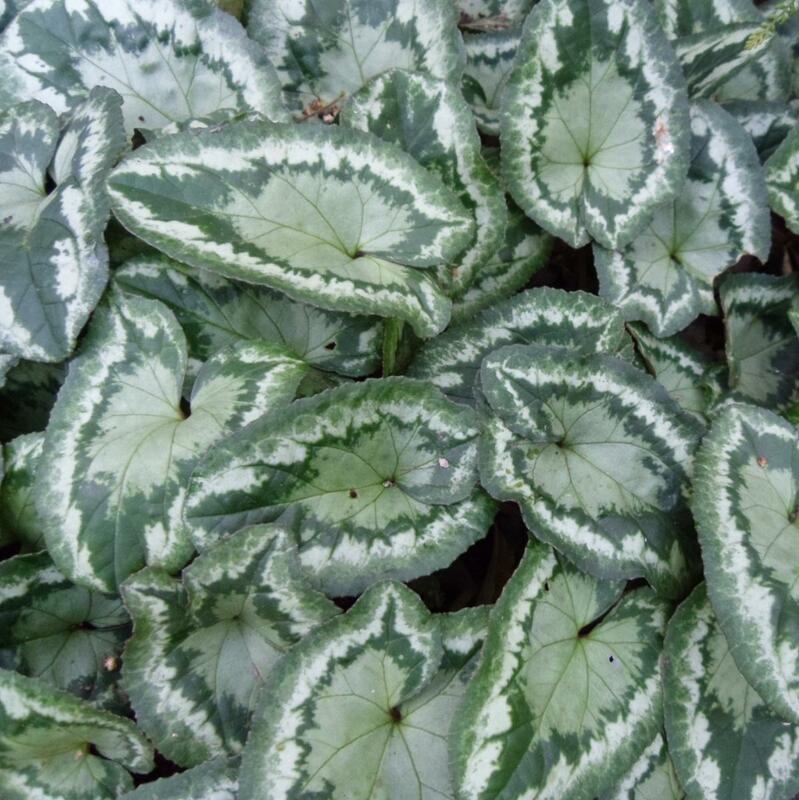 Plant in drifts for the very best effect, in any light to medium soil in sun or partial shade. Very little cultivation is needed to maintain a good collection of cyclamen in the garden. 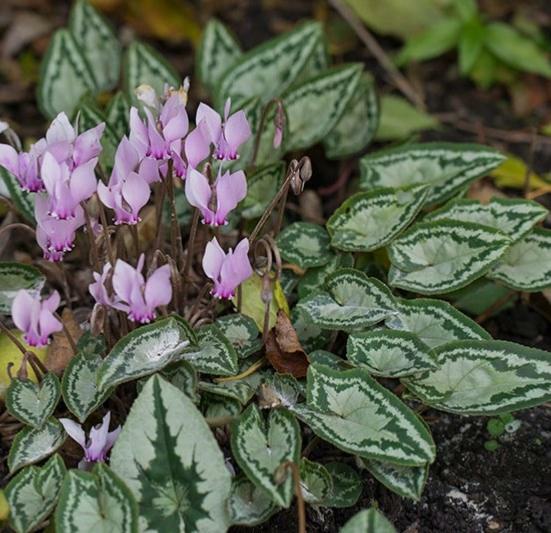 Once established, hardy cyclamen should be left undisturbed for many years and they will just keep getting better but do remember that they are dormant during the high summer. Plants are sold in 9cm Pots at flowering age.